Reward your dog with these delicious and real meat sticks. Your dog will taste the difference with Bellow®. The soft and savory sticks are the perfect reward for your best friend or the ideal training treat when broken into smaller pieces. 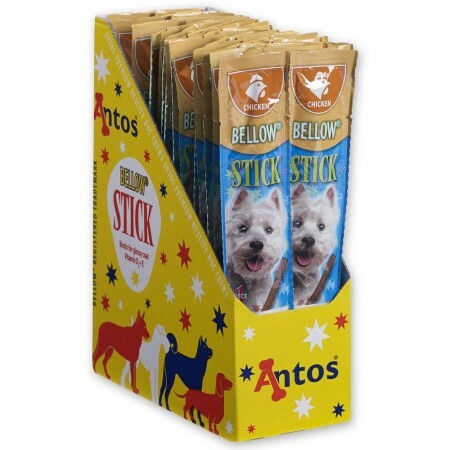 Dogs will love the soft texture and the functional benefits when chewing on Bellow® Meat Sticks. 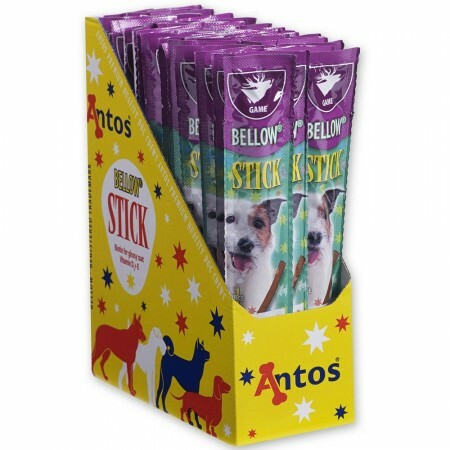 These tasty sticks have a high content of meat, which is a delight for your furry-friend. The sugar-free treats are easy to break into smaller pieces for training, as well for snacking between meals. The treats are rich in the good and provide the necessary joy of life and vitality for your dog with the extra added vitamin D3, vitamin E and biotin. Biotin provides enhanced protein and fatty acid metabolism and may help with skin and hair problems. Each stick is individually wrapped for maximum freshness, which makes them the ideal fresh treats for a day out. Bellow Meat Sticks Beef is full of flavour with 75% beef meat. The delicious and soft sticks contain inulin as additional ingredient, which has a positive influence on intestinal flora and the natural prebiotic is used to aid digestion. 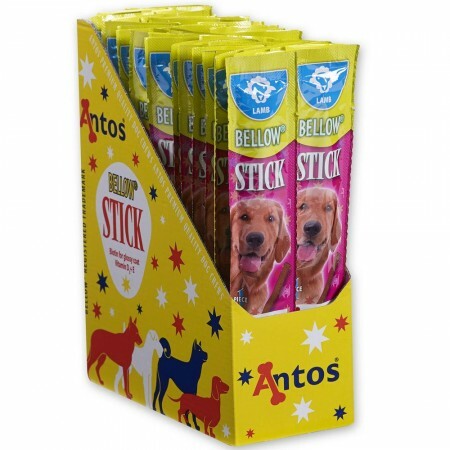 The very high palatability sticks are available in five different flavours.